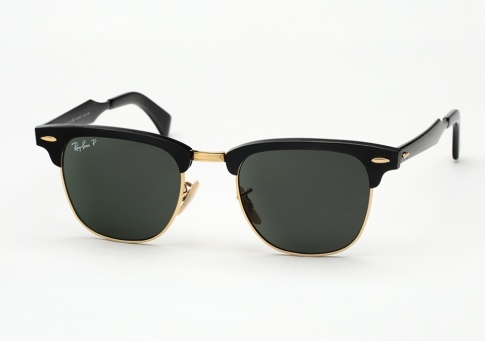 Ray Ban RB 3507 Clubmaster Aluminum - Black Need Help? Ray Ban‘s iconic and often duplicated Clubmaster frame is now offered in a meticulously designed aluminum version, the RB 3507. It is machined in Italy out of light weight and strong aluminum to the exact same proportions as the original RB 3016. There was absolutely no attention to detail spared, evident by the complimentary pins and filigree trim. It is available here in black with gold paired with G15 (grey green) polarized lenses.